Gracie Rouse is a University of Denver undergraduate student who took my course, The Ancient City, in winter quarter 2016. Gracie’s project for that class was on the site of Great Zimbabwe in Africa. 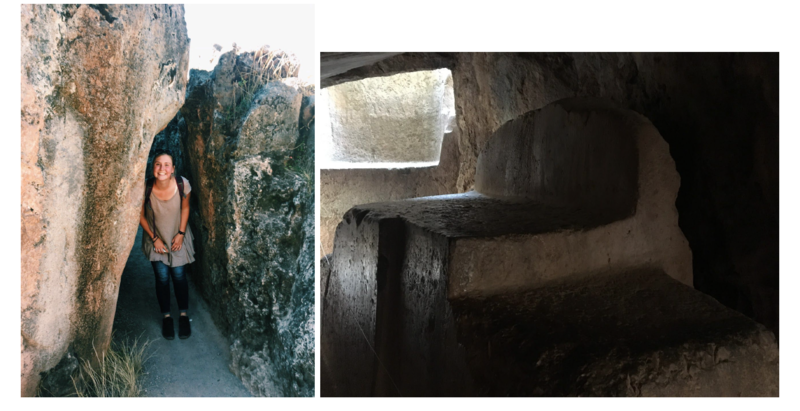 Here, she describes a summer 2017 trip to Peru where she visited some sites related to urbanism within the Incan Empire, among other heritage sites. Enjoy! 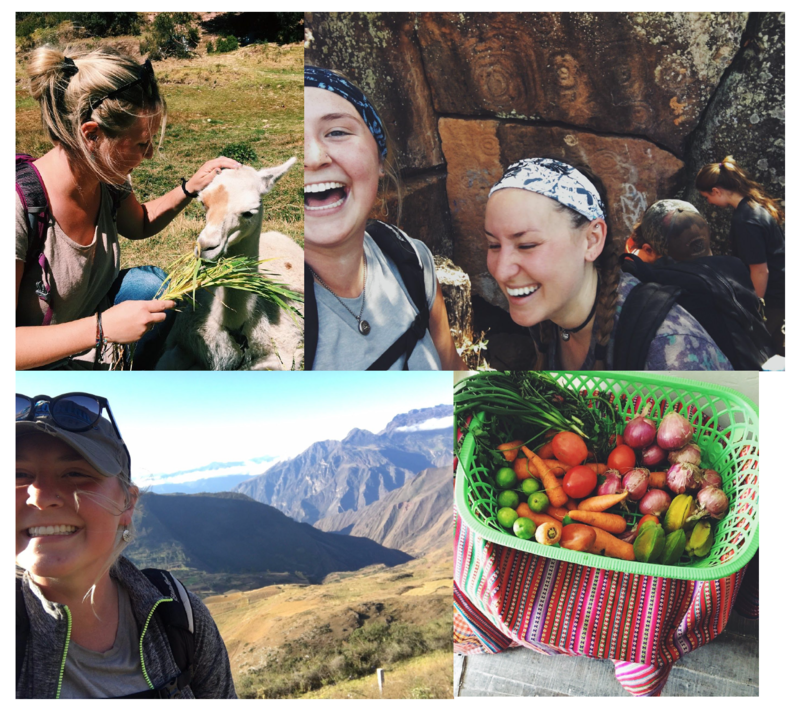 This past summer, I spent four weeks in Talavera, Peru studying osteology and archaeology with the Institute for Field Research: Sondor Bioarchaeology Project. After my studies in the small town in the Andes, I was able to meet up with my mom and travel to multiple archaeological sites for the next 2+ weeks. We also had the opportunity to visit a few heritage sites, including some related to ancient Andean urbanism. I’m writing this post in order to share some of the facts I learned about Peru’s history. A special thanks to Dean Saitta for allowing me to share my experiences from the summer of 2017 in Peru on Intercultural Urbanism. We were able to customize a day tour from Cusco that consisted of the Moray Terraces, the Chinchero District, the Maras Salt Ponds, and a few other brief stops. Our tour guide, Nancy, was cheerful and so happy to share her knowledge at each location. We ended up running into her in a market in Cusco a few days later and got to meet her son and sister! The picture above depicts the Moray Terraces, which were developed around AD 1400 during the time of the Inca Empire. Nancy explained that the terraces at this particular site were used as an ancient method of genetically modifying crops. Seeds were planted at the lowest level, and the crops that survived were planted on the next terrace above during the next growing season. This acclimated crops to the altitude to maximize crop yield at the high Andean elevations. How smart! 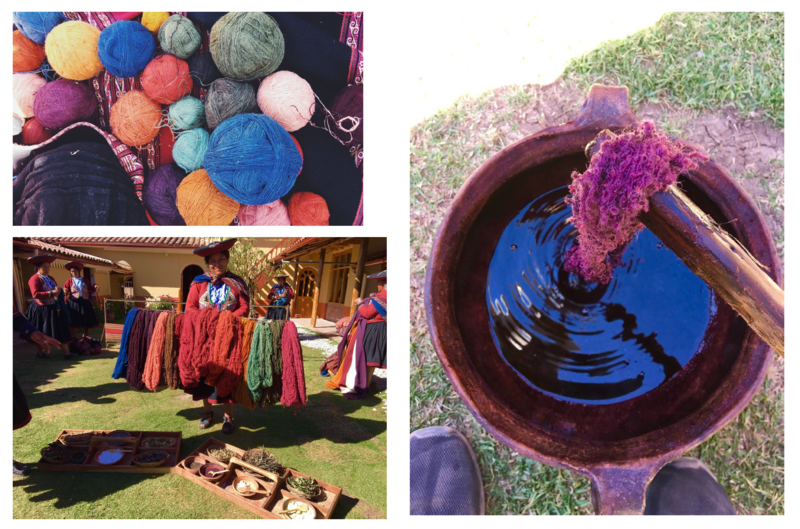 The Chinchero District of Peru is located just outside of Cusco, where the Centro de Textiles Tradicionales del Cusco can be found. The purpose of the weaving cooperative there is to preserve and share the ancient techniques of alpaca wool spinning, dyeing and weaving. The co-op consists of women of all ages in order to pass down these techniques, used for hundreds of years, from one generation to the next. The women spend hours each day weaving all types of products, such as tapestries, banners, bags, blankets and table-runners on looms using bone tools. All of the women were dressed in their traditional red and black clothing, which you can see in the photo above, that is unique to the Chinchero District. 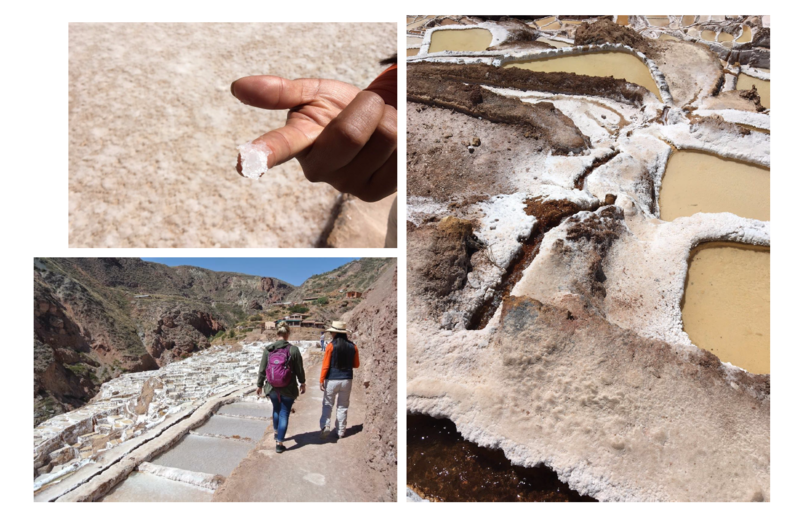 The Maras Salt Ponds are located at about 11,088 feet, where a small Andean community harvests salt from a natural salt spring. The methods they use today have been the same for the past 800 years since the salt ponds first began in about AD 1200. Each family owns and harvests one pool. As the community grows, more are added – there are thousands of pools today. The families are considerate of each other’s’ pools and tend to them almost every day all year round. The natural salt spring that feeds the ponds is located higher in the mountains. The pools are irrigated systematically so that families can fill them with the saltwater as necessary. The irrigation canals can be seen in the picture to the right. To begin the process, a pool is filled with the water and is left to sit for a few days. As the hot Andean sun dries out the pool and the water evaporates, layers of salt slowly form. It takes a few weeks for an entire pool to be harvested and each stage of salt is slightly different. Unfortunately, some visitors and tourists are disrespectful of the system these community members put so much hard work into. We saw a few footprints from people who had carelessly walked through one of the pools, contaminating it so the family would have to start the entire process over again. Maras salt is sold all around Cusco, but you can also purchase items at the small shop located at the site. Products such as bath salts, kitchen salts and other items are available here. Be sure to try some Peruvian chocolate with Maras salt – it’s delicious! We spent a few days in Aguas Calientes, which is a small town near Machu Picchu. Tickets can be purchased in the town to take the bumpy and windy bus ride up to the ancient citadel. 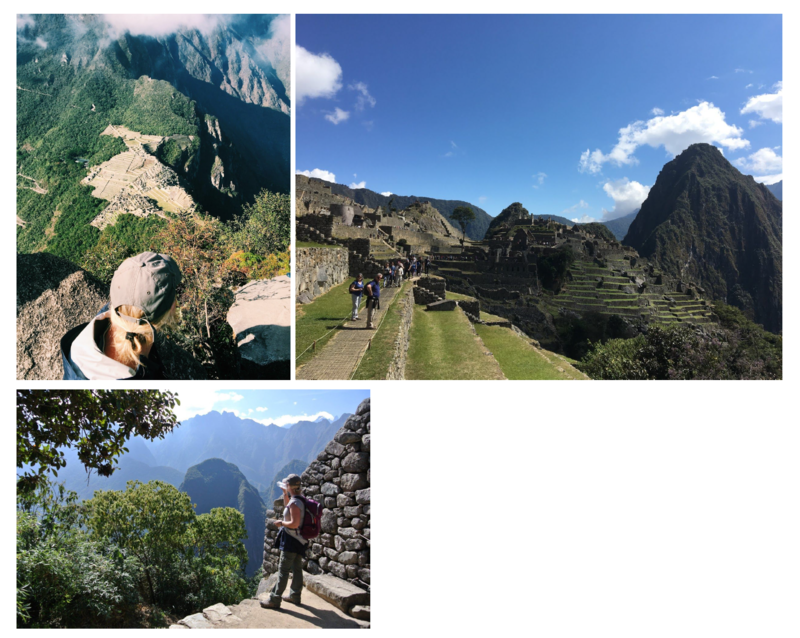 A few months prior to our Peruvian adventure, we also purchased tickets to climb Huayna (Wayna) Picchu, which is the mountain I’m looking down from in the top left picture at about 8,752 feet. Only 400 people are allowed up each day. My mom and I were lucky and got there early so that we were the 3rd and 4th people to head up the mountain. Just when you think it’s over, there are still a couple hundred steps to go and the climb only gets steeper. We managed to climb in about an hour and a half. Though it was foggy and humid on our way up, the clouds cleared just as we reached the top to reveal the breathtaking view of Machu Picchu from above. The hike is tough but I highly recommend it. Don’t forget to get a Machu Picchu stamp for your passport on your way out of the site! Tambomachay, on the left in the picture above, is another Incan site dating to AD 1450. This is an aqueduct that consisted of waterfalls and canal systems used as a renewal or baptismal font. It was also a site used for weddings because of its beauty. The photo to the right is the archaeological site of Puka Pukara, located near Tambomachay. The name of the site translates to “red fortress” because of the red tint of the structure’s stones. It was likely a military lookout. To the right is a photo of me at the entrance to the “labyrinth” that leads to an Incan sacrificial altar. This archaeological site is called Q’enqo, and known to have been used for sacrificing, mummification and other death-related rituals. Our tour guide really wanted to emphasize that the Incan sacrifice was different than Mayan and other ancient civilization sacrificing rituals. To people during the Inca Empire, sacrificing was an honor. At Q’enqo, tests have been done on the stones and have revealed the blood from only seven humans. This could mean a few things, including that the Incan culture may not have sacrificed humans as much as other civilizations did. Another possibility could be that they cleaned the stone well after sacrifices to purify the stone. The altar can be seen in the picture to the right, which is big enough to place smaller humans or animals. The light sources were also placed strategically in the labyrinth, as you can see behind the altar. Peru has wonderful cities, both ancient and modern. But if you get a chance, try to spend some time in rural Peru. That’s where I found the experience of a lifetime in a community of welcoming, friendly people who wanted to get to know me regardless of the language barrier. Who knows – you might even come across some ancient Peruvian petroglyphs on a hike or learn some of the local language! 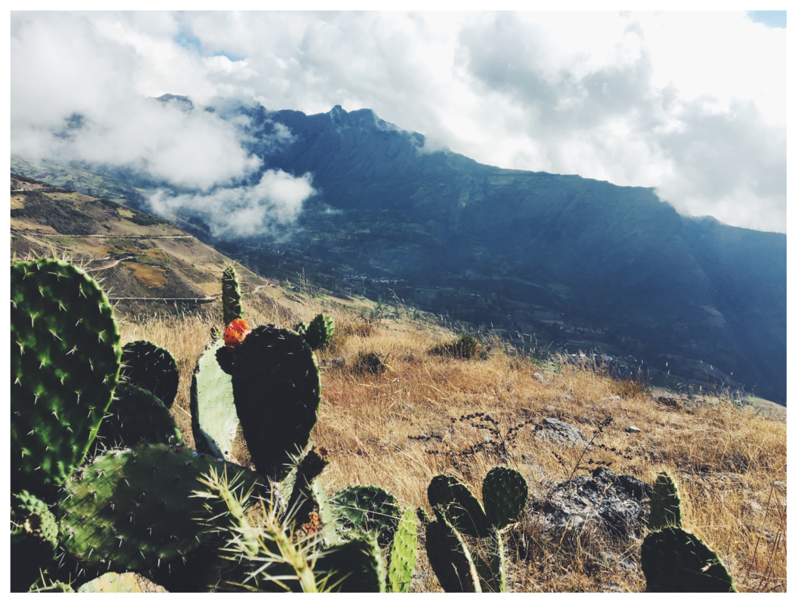 Give attention to the beautiful Pachamama (Mother Earth in Quechua), pet a llama, pop open a bottle of Inca Cola and enjoy the sights, sounds and people of Peru.